Peter Minkler is heralded by Tim Smith of the Baltimore Sun as an inspiring artist who “makes the viola sing….” Having firmly secured his reputation as a musician of rare communicative warmth and possessing eloquent depth of expression, he was awarded Baltimore’s prestigious Mary Sawyers Baker Prize, and is a two-time recipient of a Maryland State Arts Council Individual Artist Award in Classical Music Solo Performance. Mr. Minkler began his undergraduate studies with Robert Vernon at the Cleveland Institute of Music and earned his Bachelor of Music degree from the Eastman School of Music, where he was a student of Francis Tursi. He also participated in master classes at the Banff Centre in Alberta, Canada with Lillian Fuchs, Donald McInnes and William Primrose. A longtime member of the Baltimore Symphony Orchestra, he also holds the position of Principal Viola with the Baltimore Choral Arts Society Orchestra. Prior to his arrival in Baltimore, he served as Associate Principal Viola with the Buffalo Philharmonic Orchestra. He has appeared as soloist with the Baltimore Symphony Orchestra on multiple occasions, as well as with the Prince George’s Philharmonic, the Orchestra of St. Johns, Ars Nova Chamber Orchestra, The Columbia Orchestra, Baltimore Choral Arts Society and the Buffalo Philharmonic Orchestra. In addition, he was the featured artist at the Finger Lakes Bach Festival in Ithaca, NY. As soloist, he has worked with such distinguished conductors as Andrew Constantine, Tom Hall, Marvin Hamlisch Raymond Harvey and Daniel Hege. An avid and versatile musician, Mr. Minkler is also highly sought both as recitalist and chamber musician. He has performed extensively throughout the Baltimore region and is a regular guest artist on numerous established local series including: Musical Mondays,Free-Fall Baker Awardee Concerts, Catonsville Concerts at 3, An die Musik LIVE!, Music in the Great Hall, Sundays at Central Concert Series, Sundays at Three Chamber Music Series and Chamber Music by Candlelight, a series he co-founded at the Second Presbyterian Church. Other appearances include an exhibition and recital at the Baltimore Museum of Art, the University of Maryland, Chamber Music UB: The BSO Musicians Series, a series he developed and coordinated in conjunction with the University of Baltimore and musicians of the Baltimore Symphony Orchestra, and the BSO Summer MusicFest. 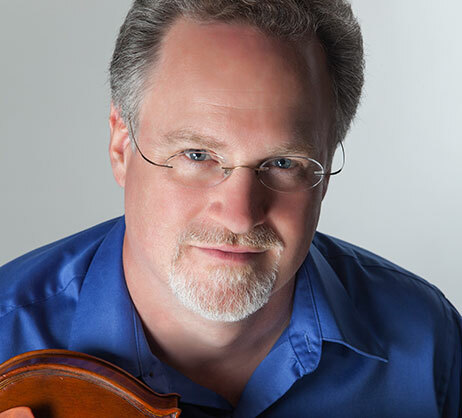 Nationally, he has been a featured artist at the 2012 40th International Viola Congress held in Rochester, NY and presented recitals at both Northwestern State University in Natchitoches, LA and the Channing Concert Series in Houston, TX. At the invitation of Mrs. George Rochberg, he also presented recitals at Dunwoody Retirement Village in Newtown Square, PA. Throughout the years, Mr. Minkler has collaborated with many luminaries including violinists Pinchas Zukerman, Stephan Jackiw and Victor Costanzi, cellist Ralph Kirschbaum, flutist Toshiko Kohno, harpists Rita Costanzi and Elizabeth Hainen, percussionist David DePeters and pianists Jonathan Biss, Lura Johnson and Max Levinson. More recently, he has begun exploring new and innovative ways to express himself and has worked in partnership with Shodekeh, a human beat boxer, award winning jazz saxophonist, Carl Grubbs, and modern dancer, Naoko Meshiba. In addition to his private teaching studio, Mr. Minkler, a devoted pedagogue, has presented a viola composition seminar at the Peabody Conservatory of Music; coached adult chamber music participants of theBSO Summer Academy, regularly coached the viola section of the Greater Baltimore Youth Orchestra and has presented numerous master classes for students of all ages and abilities in a variety of formats, cities and settings, including the Hoff Barthelson Music School in Scarsdale, NY, East Aurora High School, East Aurora, NY, and the aforementioned Northwestern State University. Inner Voice , his second project recorded in collaboration with pianist, Lura Johnson, features four major works of the twentieth century by Britten, Rochberg, Pärt and Shostakovich. This CD has also received high praise from critics: Carlos María Solareof The Strad writes, “Britten’s Lachrymae…is given an unusually well-structured performance that goes beyond superficial tonal beauties to reveal the score’s constitutive elements. While listening I felt that this is how William Primrose – the piece’s dedicatee – might have played it ….” It was this recording of Pärt’s spiegel im spiegel that was used in the trailer for the Academy Award winning movie, Gravity , starring Sandra Bullock and George Clooney. This as well as other critical acclaim continues to affirm his artistry and command of the instrument. He has actively served on both the BSO Players’ Committee and the Artistic Advisory Committee for the musicians of the Baltimore Symphony Orchestra. In 2012 he was nominated for, and served on, the Maryland State Arts Council Review Panel (MSAC). As one of nine discipline-based panelists, he played a significant role in the grants process through his expert recommendations to MSAC. Mr. Minkler has commissioned Dark Bells, a major new work for viola, chorus and orchestra by world renowned composer, Jonathan Leshnoff. Based upon the poetry of Edgar Allan Poe, this oratorio will receive its world premiere in May 2014 with Music Director Andrew Constantine and the Fort Wayne (IN) Philharmonic. In addition, he is presenting the world premiere of Whistling in the Dark for unaccompanied viola by composer, Jeremy Gill, on the Strathmore Mansion Series in Bethesda, MD. He is actively seeking other contemporary composers with whom he can work so that together, they can create exciting new music that showcases the viola. Other upcoming performances include concerts at Dickinson College and the University of Pennsylvania.